Since closing my online store, I’ve been looking for a way to sell signed print books and ebooks directly to you. Today’s solution is for signed print books. I’m using a feature called Simple Payments, which lets me set up Paypal buttons on this site. It’s pretty easy to use, but it doesn’t include a shipping calculator. So, I’ve made a guess at postage on each item, and guessed high. You’ll find buttons to buy signed books directly on the series pages for Flatiron Five and Secret Heart Ink, as well as for the individual F5 titles and Christmas with the Coxwells. 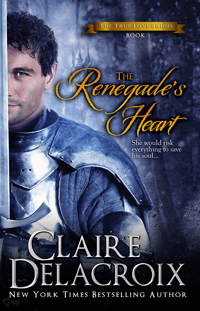 You’ll also find one on the Dragons of Incendium page, and a few of them on Claire Delacroix’s Knights page. Of course, there are also buttons on the Dragonfire page for the whole series in paperback or hardcover. Let me know what you thnk about this, or if there are any obvious omissions. I have many (MANY!) more print books, but this seemed like a good start. I’ve been looking at options for those of you who want to buy the entire series of Dragonfire novels in trade paperback or in the hardcover collectors’ editions. I do have both listed for sale in my online store: here’s the paperback series and here’s the hardcover series. If you order them – or any other books – from my Selz store, your books will be signed by me. They’ll also be shipped from the printer in the US to me in Canada, then shipped by me to you, wherever you might be. That’s a lot of shipping cost, as the whole collection is comparatively heavy. I’ve found an alternative in the US, which would mean that the books would be shipped from the US directly to you. (This option would work best for those of you who live in the US.) The books would not be signed, because they wouldn’t come to me at all, but the price would be lower – both because they’d only be shipped once, and because they’d only be shipped within the US and that postage is cheaper than international postage. I could send signed bookplates to anyone who ordered this way instead. The simplest way would be to wait until the new year. Once the first three novellas and short stories are done, I’ll publish a bundle called The Dragons of Incendium: The First Collection. This will be published in digital and in print, and the print edition will go into wide distribution through Ingrams. I’ve already had one Australian bookseller ask about this (Lucy Abarcia at Ever After – The Romance Book Specialists) so I expect the book will be available there. You could always contact them to be sure. You know what to do with the caps and the spaces. Edited to add – I got an estimated postage cost on one mini-book from here to Australia this morning. To send a copy of Wyvern’s Mate halfway around the world would cost $11 Canadian, in addition to the price of the book itself. That won’t be the same for Wyvern’s Prince as it’s going to be a thicker book. I think I’ve managed to add a shipping option for Wyvern’s Mate to go to Australia at the online store. The postage cost is $11 Canadian. Please let me know if it doesn’t work! I’ll also be attending a second event in Ottawa this spring – Prose in the Park is a free outdoor event, similar to Word on the Street which is held every year in Toronto. I’ll be participating in a panel discussion about the romance genre with Eve Langlais and others, plus signing books. Prose in the Park will be held on Saturday June 4 this year from 11 to 5. As usual for booksignings, I have a pre-order form posted for your convenience. You can browse in advance, order your books and ensure that you’re not disappointed at the show. There’s an option to pay in advance by Paypal (ten days before the signing) or to pay in cash at the signing. Slowly, I’m getting everything organized for the publication of Firestorm Forever. Some of you mentioned that you wanted a signed print copy, and that the option wasn’t listed at my online store as it is for my other books. Well, I just hadn’t gotten to it yet. These books will be shipped after I get copies myself, which will be right around May 13. The postage is a flat fee through the store, but we adjust it (once we know your address) to be the proper amount. You will be charged the actual postage cost. The charge won’t be processed until the order is marked complete at our end, which will happen when the book is on its way. Brenda Novak’s annual auction to raise money for diabetes research is kicking off soon. I’ve donated an item to the auction, and thought you might want to check it out – right here.